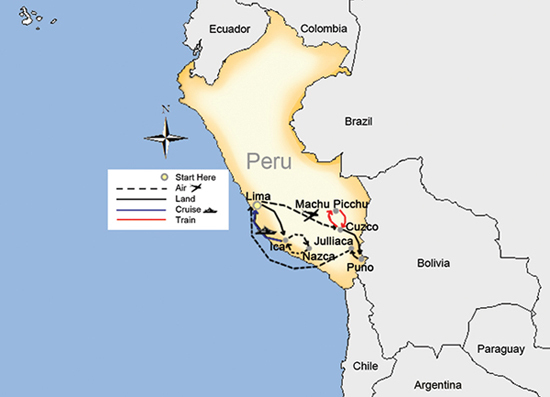 Your journey begins as you board your overnight flight to Lima, Peru. Upon arrival, you are met and transferred to your hotel. Note: Maximum elevation on tour: 13,000 ft. Extend your tour with a Galapagos Islands Cruise. Note: Supplement for using Belmond Sanctuary Lodge instead of Inkaterra Machu Picchu will be $ 492.00 per person extra. Supplement for using Belmond Sanctuary Lodge on deluxe option is extra & available upon request. Note: Rates not valid for travel during Holy week and Inti Raymi Festival (June 20 to 24, 2019) and during Christmas & New Years. 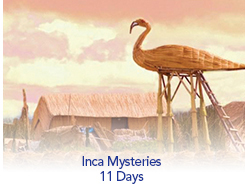 As a guest of SITA, you will receive a Special SITA amenity in Lima - a Pablo Seminario Peruvian Ceramic Souvenir. • Machu Picchu, Peru train to the "Lost City of the Incas"
Pablo Seminario Peruvian Ceramic Souvenir for SITA guests. THERMAL CIRCUIT for 1 person for 20 minutes (per single or double room) applicable only for Deluxe option.